So I am now officially moving out of home and into a new apartment with my partner in March 2015! *dances* We are very lucky to be able to get to rent a townhouse that Josh's parents own. It is a lovely 2 storey townhouse, in an A+ location with a cute courtyard out the back. 2 Bedroom + a study, as well as 2 bathrooms. It is currently fully tiled with white tiles but before we move, wooden floors are going in and a deck out the back. As the house is owned by family we will get a tad more lenience on what we can do with it, which is grand! We are super excited to start buying furniture though, well I'm the most excited probably. Plus we may be getting the previous tenants (his sister + fiance) brown leather L shaped lounge, that is in great condition and will save us a bunch of money that we would have spent on a couch. We have picked out a variety of furniture as ideas from various stores but here are some picks that we enjoy from IKEA. I know that we are both equally keen to head to IKEA, giftcards in tow. 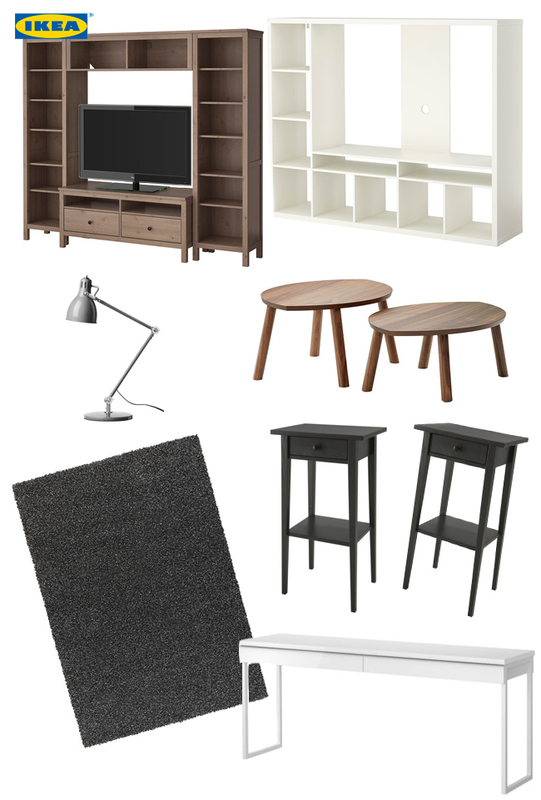 HEMNES TV Storage Combination - Originally I was just looking at TV benches with a lot less storage space, but as the house is only small this would add extra storage for stuff like books and DVDs and well as our PS4 games. LAPPLAND TV Storage Unit - While it doesn't look too special here and empty, what caught our attention was the use of the bottom cubes with drawers/doors which makes it look really nice. The price is also quite good. AROD Work Lamp - Looking at this for lighting on our bedside tables, it would go well with the tables we have picked out and also with the metal framed bed we are looking at from Adairs. Stockholm Nest of Tables - Instead of having one big coffee table for the living room I like the look of these two, they sit well together with one underneath the other a bit, and they are easily moved around either out of the way or as handy side tables. ALHEDE Rug - We just really want a shaggy rug I think. We will find a place. HEMNES Bedside Tables - I like how there is only one drawer which basically forces you to only have the necessities in there and not fill it with junk, but the shelf underneath still gives you some room for bits and pieces, either decorative or useful. BESTA BURS Desk - This table is perfect because it is 1.8m long and can be used as a workspace for 2 people. As we both have iMacs this exactly what we need. Plenty of space for 2 computers, 2 chairs & 2 people. 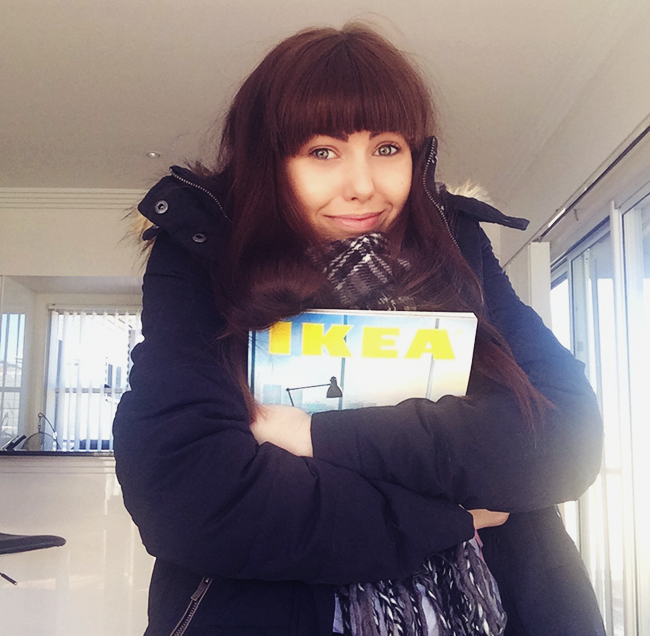 Now our only issue is that the nearest IKEAs are 2 hours away! *cry* So we will need to hire transport that has enough room for furniture to be brought back. Then the IKEA putting together party will begin! Bring on the pizza and allen keys!